Dianne Melton has been working in the Financial Services Industry since 1991. 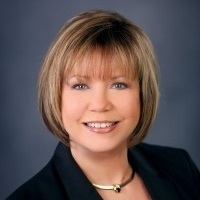 Her financial services career began in the insurance industry prior to attaining the position of Premier Banking Manager with the Wells Fargo Bank Corporation in 1992, and then accepted a top position with U.S. Bank as Business Development Officer. Presently, Dianne is a Registered Representative with LPL Financial has earned the designation of Certified Retirement Counselor, CRC, has passed the Investment Company exam and the NASAA Uniform Securities Agent State Law examination and currently holds a California Insurance License #0B80867. She is a member of the Financial Planning Association, FPA, and Financial Services Institute, FSI. Dianne is the Co-founder and Vice President of the Melton Financial Group Wealth Advisory. Since the inception of Melton Financial Group, Dianne’s focus has been on combining the emotional perspective of financial and estate planning with the science of investing. Dianne’s role at the Melton Financial Group includes Business, Retirement and Estate Planning as well as Marketing and Community Involvement. She is passionate about educating and guiding her clients through their retirement. Dianne’s early career success began in the entertainment industry as a professional singer and dancer with such esteemed accomplishments as being featured as ‘Charli’ on the ‘Tonight Show’ with Johnny Carson, and a featured performer on the Jerry Lewis Telethon, Dianne now shares her artistic singing abilities by donating her time and talent to helping others in the field of the Arts. Dianne is an active member in the community and participates with organizations such as the American Red Cross, Placer County Food Bank, and the Placer SPCA.